A bezel is a frame itself and is the portion which is not covered by the screen — for example, TV and smartphones. We have been seeing from many years that the TV, computer monitor and smartphones used to have large bezels around them. But as time flew, the bezel too started to shave. If this continues then a time will come when bezel will be a thing of past in the smartphones industry. From few days, bezel-less smartphones have become the talking point between the manufacturers and the customers. Because of bezel-less smartphones, the screen-to-body ratio is increasing. So we can say that bezel-less screens nowadays are directly proportional to the increase in the screen-to-body ratio of smartphones. The bezel-less screen is the future of the smartphone that every manufacturer wants to give their customers. To give you an idea on all those bezel screen smartphones out there, we have selected a few of them which are ranked from the thinnest to thickest. So, have a look at the smartphones who carry almost bezel-less screens. 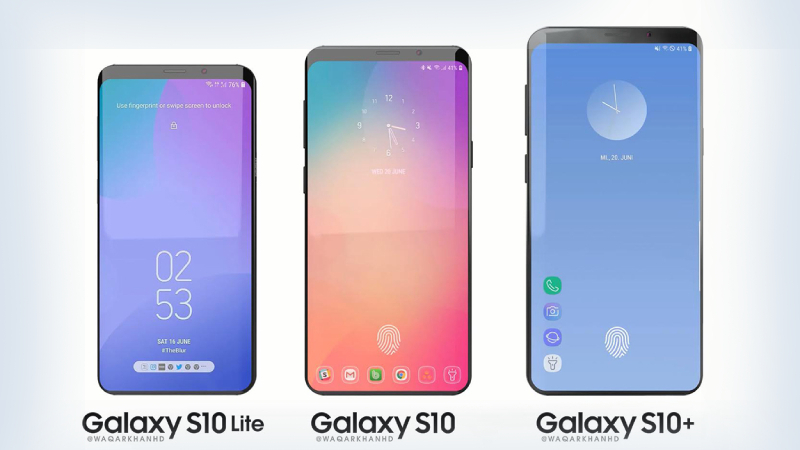 On the 10th anniversary of Samsung’s Galaxy S range, Samsung did not disappoint its customers and launched the Galaxy S10 series. In its S10 series smartphones, Samsung almost adopted bezel-less screen by giving S10, 88 percent of screen-to-body ratio. The other two smartphones are also not far behind. The smartphones have Infinity-O displays which flaunt hole-punch cameras instead of a notch. The company replaced the fingerprint sensor from the back and positioned it under the display (ultrasonic). 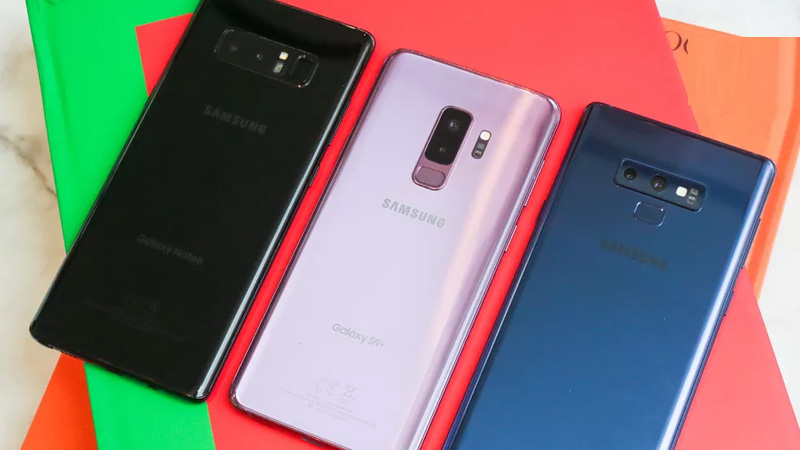 All the three smartphones of the Galaxy S10 series flaunts the Dynamic AMOLED screens along with the intense brightness, accurate colors, and HDR10+ certification. Samsung has set a mark in the world of smartphones. The Huawei Mate 20 Pro has the extraordinary specifications which is just unbeatable but the only thing it lacks behind is because of the notch it contains due to which the screen-to-body ratio is less than the Huawei Mate 20. The Huawei Mate 20 Pro features a dewdrop notch and a tiny bezel at the bottom and other than this, the smartphone is 86.9 percent screen-to-body ratio. It is loaded with the same specifications as of the other smartphone but it lacks behind due to the wireless charging and less resolution display. The Huawei Mate 20 has the rear fingerprint scanner while the Mate 20 Pro flaunts the under-display fingerprint scanner. The Oppo Find X sports a massive 6.42-inch AMOLED screen which is almost bezel-less except the bottom chin and flaunts the 86.9 percent of screen-to-body ratio. The back of the smartphone is just plain as there is no camera popped-up. The smartphone has a mechanized camera which only rises when the camera icon is pressed which takes only 0.5 seconds i.e. just in a blink of an eye to rise. 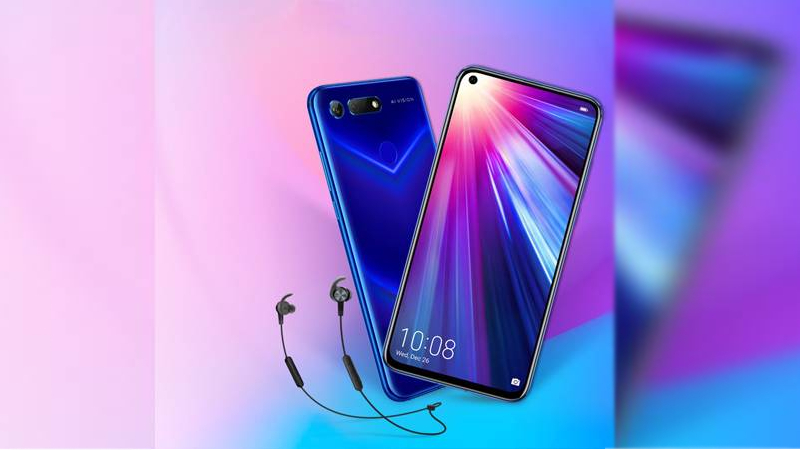 The smartphone flaunts dual rear camera (16MP + 20MP) and a 25MP front camera which is dubbed as O-Face facial-recognition system. The smartphone also has top specifications that can beat any smartphones at that range. 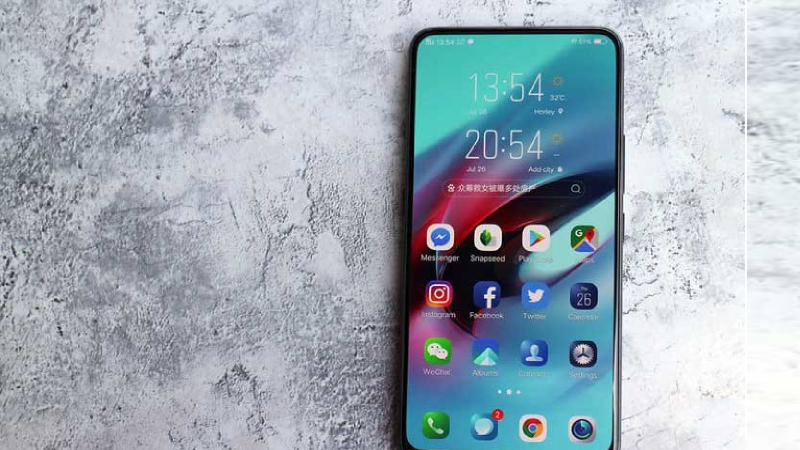 To come closer to the screen, Vivo removed the notch and placed a pop-up camera instead of it. Vivo Nex S flaunts the 8MP pop-up selfie camera at the left side of the top and at the front, it carries a dual camera (12MP + 5MP). The smartphone has a screen-to-body ratio of 86.2 percent giving the smartphone almost a bezel-less screen except for the tiny chin at the bottom. The Vivo Nex S drops the rear fingerprint scanner and instead uses the under-display fingerprint scanner. The smartphone has an innovative technology of having the speakers under the display. But the smartphone does not have wireless charging, NFC for payments and is not water-resistance. The Honor View 20 sports an IPS LCD display on which there is a hole punch at the top left and there is also a chin at the bottom due to which the screen-to-body ratio is 85.6 percent. The smartphone features a 6.4-inch screen with an aspect ratio of 19.5:9. The back panel is attractive and has a reflective V pattern embedded in the glass. The smartphone flaunts a 48MP camera at an affordable price. Read Also: Are dual camera lens Better than One? 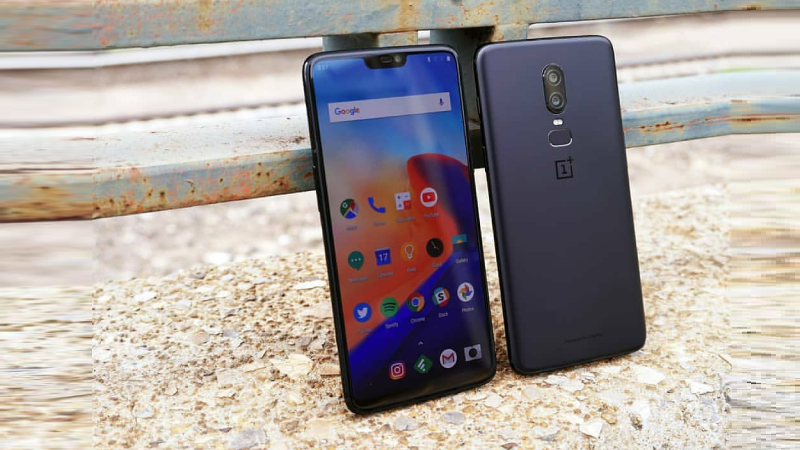 The OnePlus 6T stands up at the position where the other expensive smartphones stand in compared with the features and designs. It comes with a dewdrop notch for selfies and has a chin at the bottom. The smartphone contains an under-display fingerprint scanner. 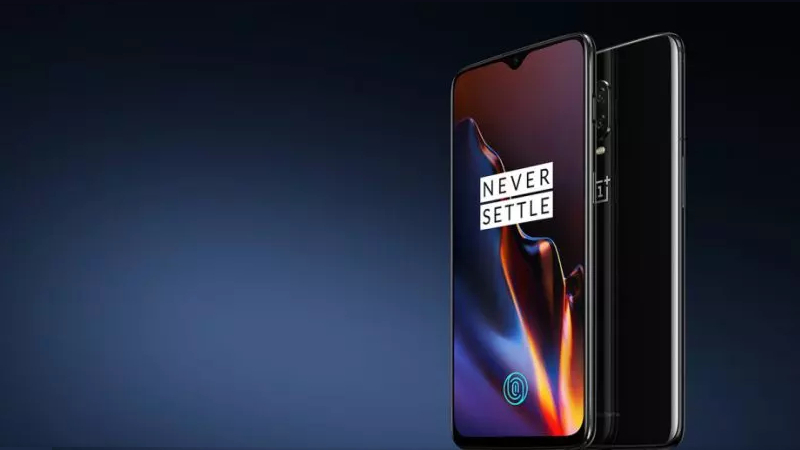 The OnePlus 6T sports a 6.41 inch AMOLED with a screen resolution of 2340 x 1080 pixel and a 19.5:9 aspect ratio. The performance is just unimaginable and beats the other smartphone at the same range. But the camera lacks behind along with no wireless charging support. Both the smartphone are almost similar except the dewdrop notch in the Mi 9 and the pop-up camera in the Mi Mix 3 for selfies. The Mi 9 and the Mi Mix 3 flaunts the AMOLED displays but does not stand upto the expectations as compared to the other flagships. 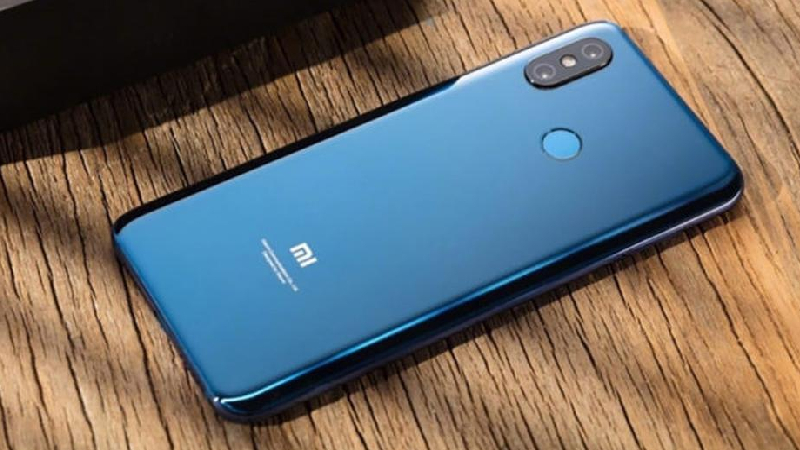 Both the smartphones carries the magnificent internal specifications and the Mi 9 under the hood carries Snapdragon 855. The software and the camera does not stand up to the expectations but the pricing is satisfiable. 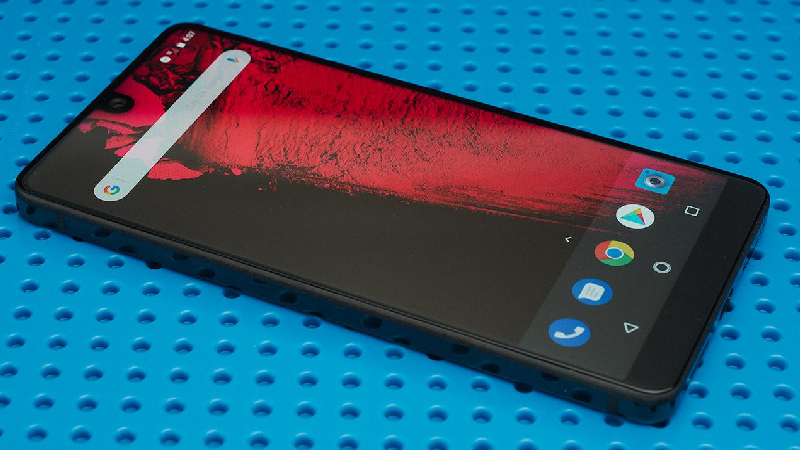 The founder of Android, Andy Rubin’s Essential PH-1 became an instant hit in the market because of the design of edge-to-edge screen. There will be the thinnest bezels on the top and sides of the screen with rounded corners which is similar to the LG G6. Being having the thinnest bezels, the smartphone has a chin at the bottom which is of no use as the fingerprint scanner is positioned at the back instead of front. 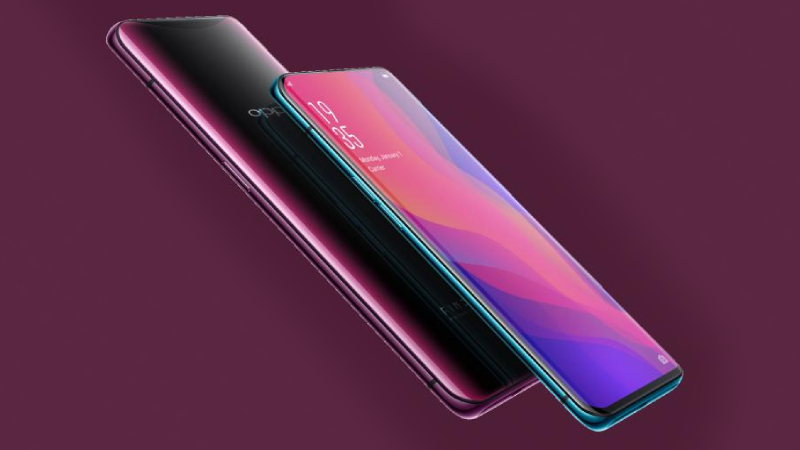 The front camera houses in the dewdrop notch which sits on the middle top due to which the screen to body ratio reduced. The iPhone XS Max flaunts the biggest screen among all the iPhone with 84.4 percent of screen-to-body ratio. This smartphone shows how Apple has utilized the edge-to-edge notch display design which is far better and bigger than the iPhone 8 Plus. it carries the same 19.5:9 aspect ratio and OLED technology which is widely used by the best smartphones in the technology world. The iPhone XS Max shares the same screen resolution with the iPhone XS i.e. 2688 x 1242 pixels with a count of 458 pixel-per-inch. The notch reduces the screen-to-body ratio but still comes under the bezel-less category. 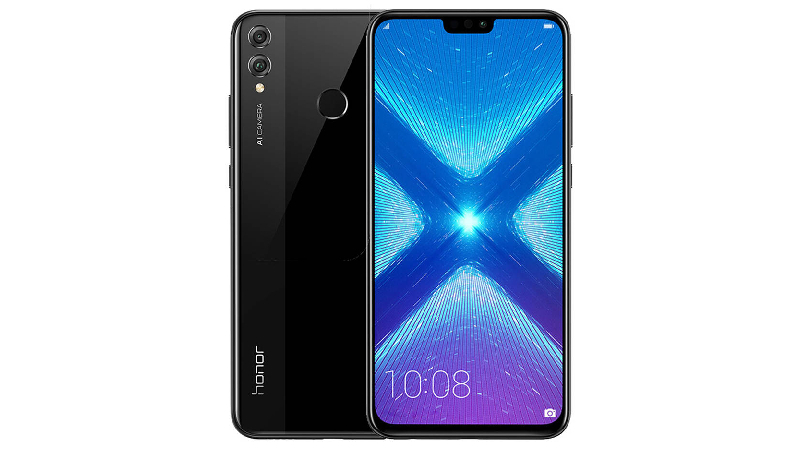 The Honor 8X holds a splendid package for the customers. The Honor 8X is queued high under the affordable smartphones which contain 84.3 percent screen to body ratio. The smartphone flaunts a 6.5-inch display with screen resolution of 2340 x 1080 and with an aspect ratio of 19.5:9. The screen to body ratio is less because of the chin at the bottom and the dewdrop notch for selfies. The smartphone carries really good specifications as compared to the affordable price. The Galaxy S9 holds the title of the best-looking smartphone in the list which flaunts a 5.8-inch curved “Infinity Display”. On the other hand, the S9 Plus has the highest screen to body ratio among the three with 84.2 percent due to which it carries a 6.2-inch screen. 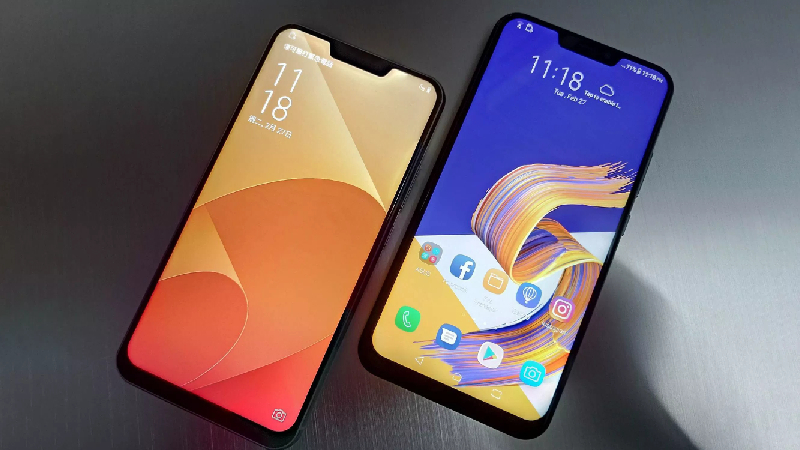 But still, the smartphone has thin bezels at the top and the bottom and a slimmer bezel at the sides which is not visible because of its sloping edges. Like S8, the three smartphones do not have a home button and instead of it, the company used standard navigation icons of the Android on the screen due to which the chin is empty. The screen-to-body ratio is less because of the notch the smartphones carry. 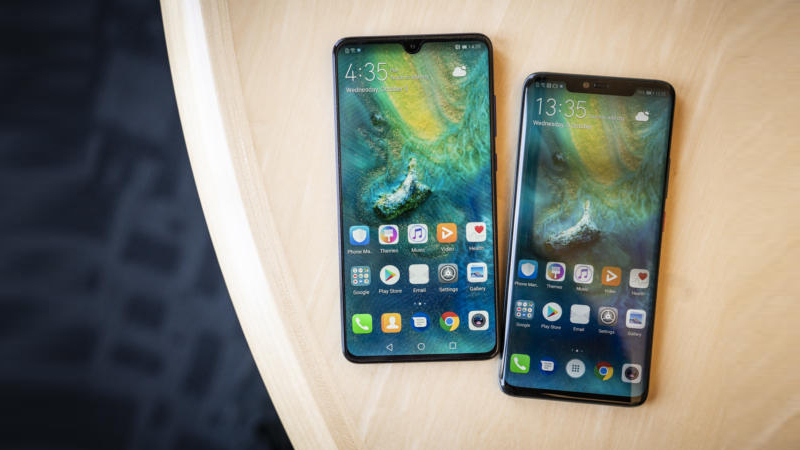 These smartphones are among the biggest screens in the mobile world but the smartphones are slim because of the aspect ratio of 18.5:9 it carries. The OnePlus 6 has headed a one step above the iPhone X as it has the smaller notch. Being holding a smaller notch, the smartphone still has a less screen-to-body ratio. This is because of the bezel present at the bottom. At the perfect price, the smartphone is wrapped with splendid specifications such as Snapdragon 845 and RAM variants along with superpower and excellent performance. The waterdrop-style notch holds a 16MP front camera which can be hidden by changing the settings. There is no wireless charging and lacks water-resistance. Other than this there is nothing to say bad about this beautiful and stunning smartphone. 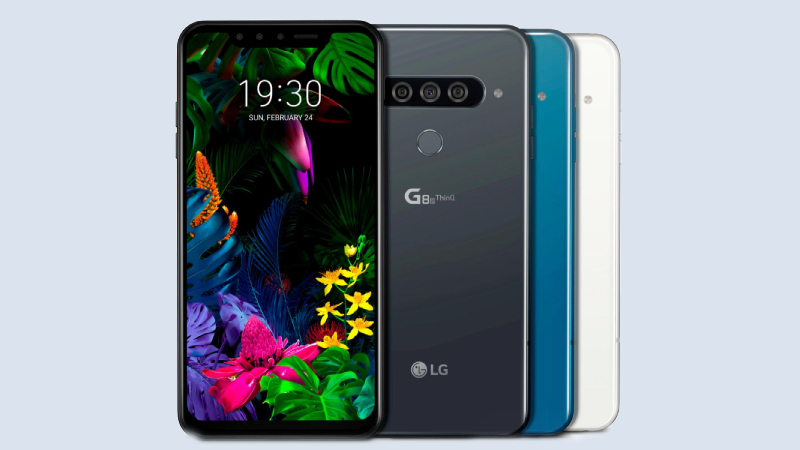 Except the slim body, the LG G8 ThinQ is almost same as the G7 which was launched in 2018. The smartphone flaunts a 6-inch AMOLED screen with a screen resolution of 3120 x 1440 pixels and an aspect ratio of 19.5:9. 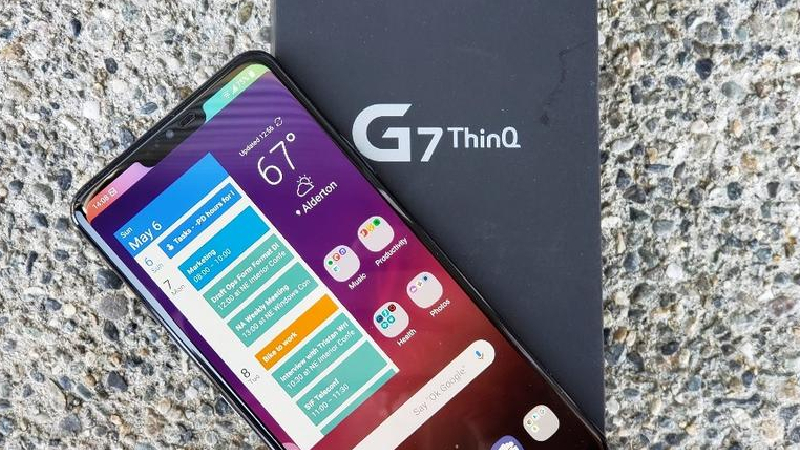 The G8 ThinQ comes with a new front camera which has gesture control and secure face unlock for safety. Same dual-lens camera setup is also seen in the G7 at the back. The handset does not have earpiece which means that the audio will be heard from the Boombox speaker and the Crystal Sound OLED screen. LG also followed the footsteps of other smartphones and used the notch to make the screen-to-body ratio more. 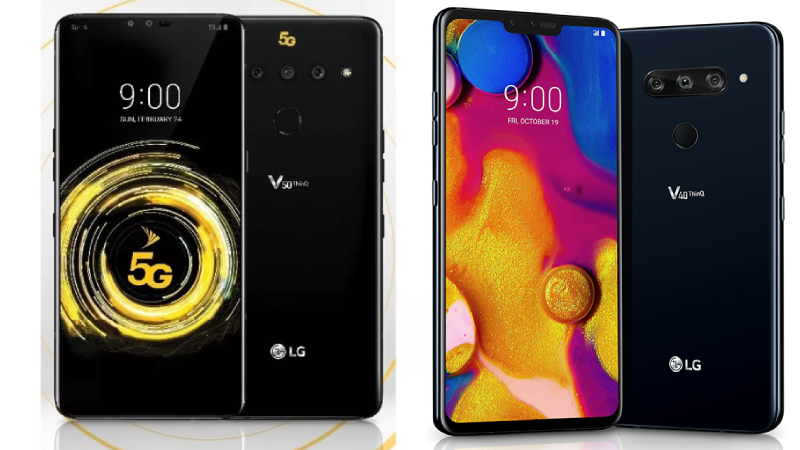 In the V series, the V40 ThinQ was the first mobile to get the notch but still had a small chin at the bottom and the same design is carried by the LG V50 ThinQ G5 also. Both the smartphones flaunt the big 6.4-inch screen with an aspect ratio of 19.5:9 and a screen resolution of 3120 x 1440 pixels. The customers can avail the movies and games with the better OLED screen. In terms of the optics, both the smartphones of LG flaunts five lenses i.e. three cameras at the back and two cameras at the back. Asus has successfully beaten the iPhone X in terms of the screen-to-body ratio because the smartphone has 26 percent of the small notch. The company said that the smartphone has 90 percent of screen-to-body but as per the sources the calculation is 83.6 percent. The smartphone holds an aspect ratio of 19:9 due to which it has a large screen. But still the handset has a small bezel under the phone but looks stunning and the price is just half of the iPhone X. if you want to choose a more affordable smartphone, then Zenfone 5 will be the best option with Snapdragon 845. The smartphone is known for its edge-to-edge display. 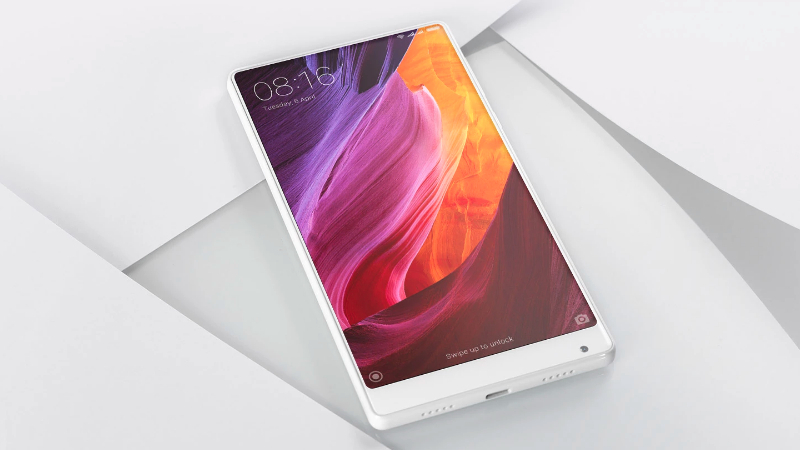 Before launch, the company said that the Xiaomi Mi Mix carries a 91.3-percent screen-to-body ratio but when the smartphone was launched the screen-to-body ratio reduced to 83.6 percent because of the thin black border which covered the screen on the sides and top. During its launch, the smartphone was enjoying the top position but as the time passed and new smartphones emerged due to which the Mi Mix now lacks behind. The only difference in this mobile than others is that it hold selfie camera at the chin of the device which is different as well as awkward. The iPhone X of Apple flaunts a splendid 5.8-inch OLED panel which has curved corners and thin frames. The smartphone has the notch that houses front camera, sensors, microphone, and a speaker at the top. iPhone X has the sharpest display as compared to other iPhones with the screen resolution of 2436 x 1125 pixels and with an aspect ratio of 19.5:9. The smartphone has the screen-to-body ratio of 82.9 percent which is less because of the bezels at the top. Instead of the fingerprint scanner, the smartphone uses FaceID for security. 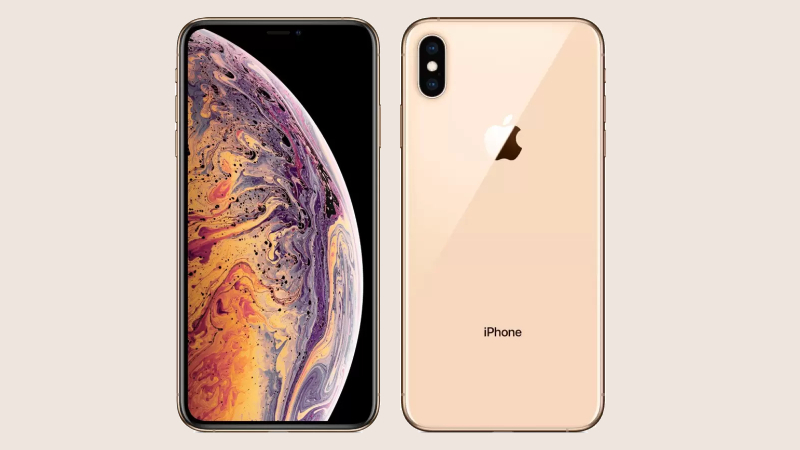 The iPhone XS also has the same design. Google is progressing towards the bezel-less smartphone fastly. The smartphone flaunts an impressive 6.3-inch OLED screen with a resolution of 2960 x 1440 pixels and an aspect ratio of 18.5:9. 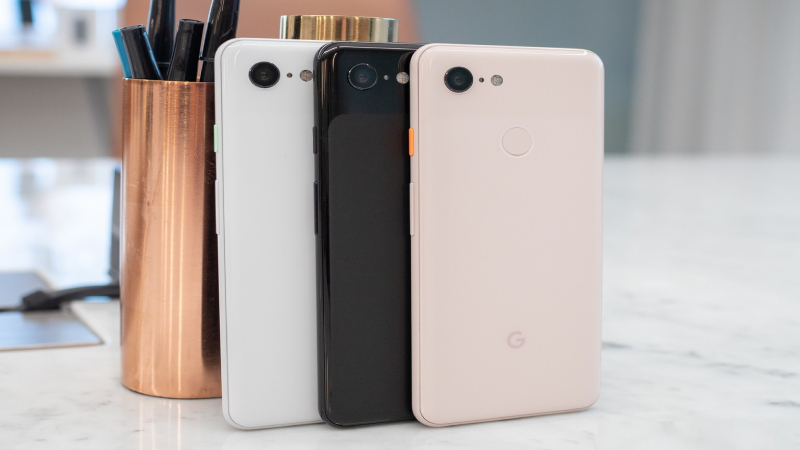 Google is moving towards in making the best camera in the Pixel 3 XL. the notch houses a dual front camera and also dual front-facing speakers. The battery is the weakness of the smartphone. LG is slowly making its steps towards the bezel-less screen. And this time it has done so by using the notch. The smartphone flaunts a 6.1-inch display with a screen resolution of 3120 x 1440 pixels along with an aspect ratio of 19.5:9. But to our disappointment, it has an IPS LCD instead of OLED screen. The handset has a super-bright mode for the outdoor along with loudspeakers. The design is just unpredictable. 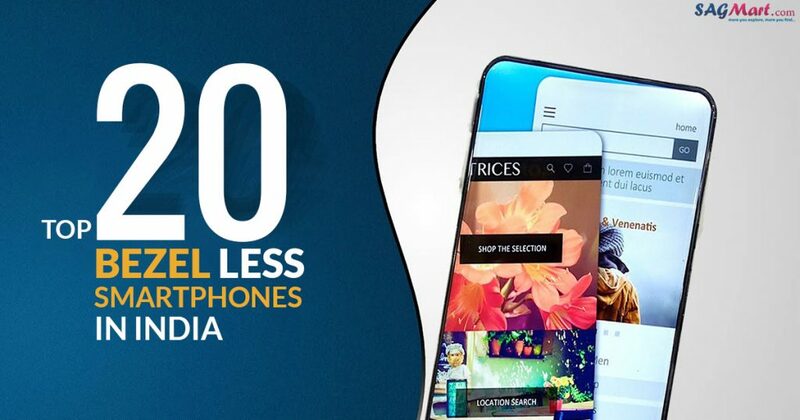 The Pocophone 1 comes with many super features in an affordable price. The smartphone flaunts a 6.18-inch diagonal display with a screen resolution of 2246 x 1080 pixels i.e. 403 ppi along with an aspect ratio of 18.7:9. It has IPS LCD screen on which there is a notch that houses front camera. The smartphone has a screen-to-body ratio of 82.2 percent in spite of having a bezel at the bottom. And not just forget that it provides a top notch snapdragon 845 processor. Sony has done a lot of changes in its trio of smartphones by minimizing the bezels to some extent. All the three devices carry an aspect ratio of 21:9 which is just perfect screen for gamers and movie lovers. 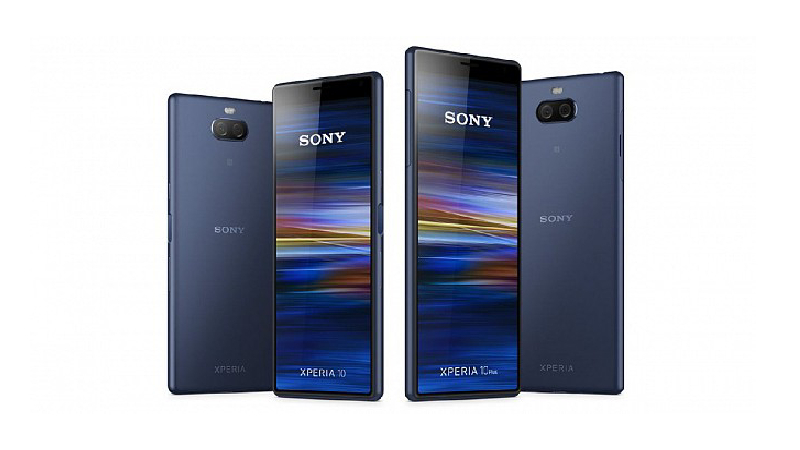 The difference is that the Sony Xperia 1 flaunts OLED screen along with picture-processing of Sony while the Sony Xperia 10 and 10 Plus carry IPS LCD screen. The smartphones comes with a big bezel at the top which houses speaker and camera. To give an impressive look the smartphones, the company slimmed the sides and bottom edge of the smartphone. 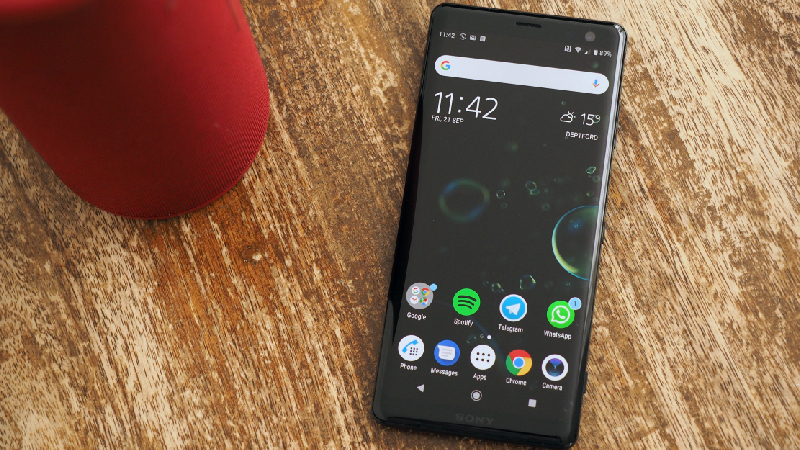 Sony has made changes in its design for the XZ3 smartphone and it is the first smartphone under the Sony brand to come with OLED technology. The smartphone has a 6-inch display with a screen resolution of 2880 x 1440 pixels for 537 ppi rating along with an aspect ratio of 18:9. But the smartphone has bezels on the top and bottom. 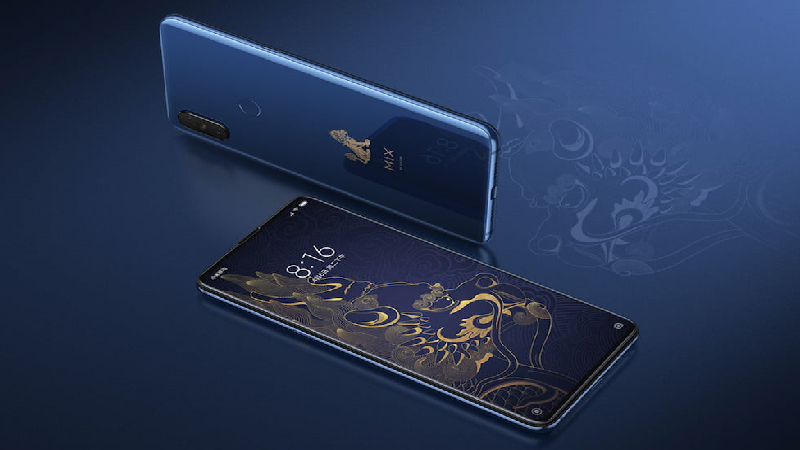 But in comparison with XZ2, the company sliced the bezel to some extent and the curved edges along with OLED technology make the smartphone to have the best screen design in the company. 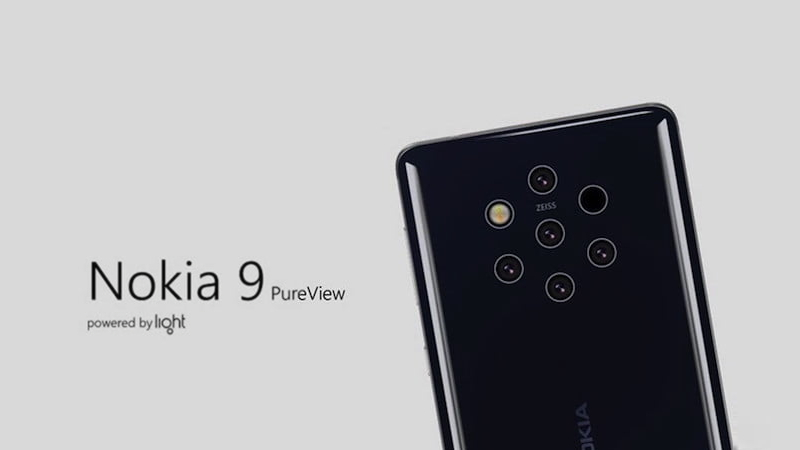 Nokia 9 PureView comes with a traditional look which contains bezels at the top and bottom instead of the bezel-less screen. The smartphone sports a 5.99-inch OLED screen and has an aspect ratio of 18:9. It is sharp and the quality of the smartphone is just awesome. The device also flaunts the in-display fingerprint sensor. The best part of the smartphone is the five rear camera lenses which is built in association with Light and promises impressive performance. 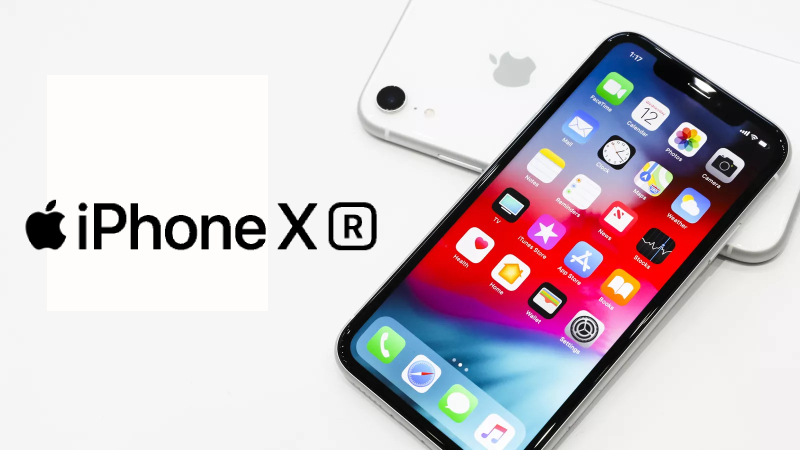 Apple iPhone XR is the most affordable in the trio smartphone who has a notch but to keep the smartphone into the affordable segment, the company compromised in the display and design part. The smartphone has a 6.1-inch screen with an aspect ratio of 19.5:9. The XR comes with an LCD screen dropping the OLED with the screen resolution of 1792 x 828 pixels. The sharpness of the resolution of XR and iPhone 8 is almost same at 326 ppi. 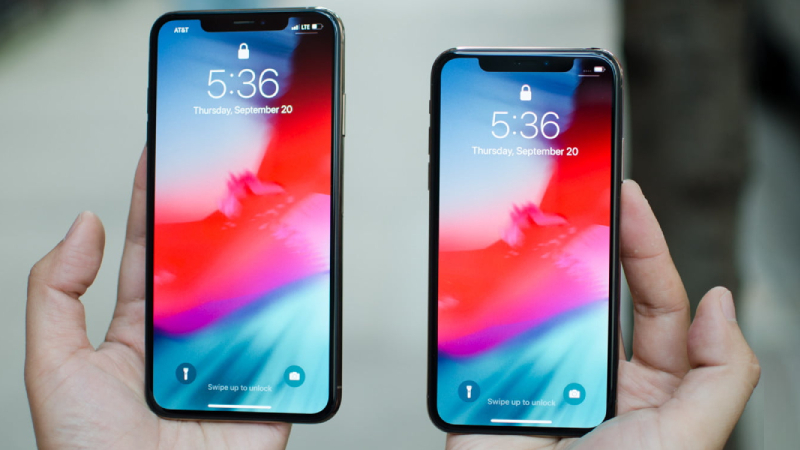 XR has the same notch as of the iPhone X, XS, and XS Max but the XR has more bezels around the display due to which it stand along with the other smartphone who carry traditional big bezels at top and bottom. Google Pixel 3 0might be among the best smartphone with the best camera but it lacks behind due to the bezel it contains at the top and the bottom. The smartphone comes with 5.5-inch display with a screen resolution of 2160 x 1080 pixels along with an aspect ratio of 18:9. The device has a rear fingerprint sensor. 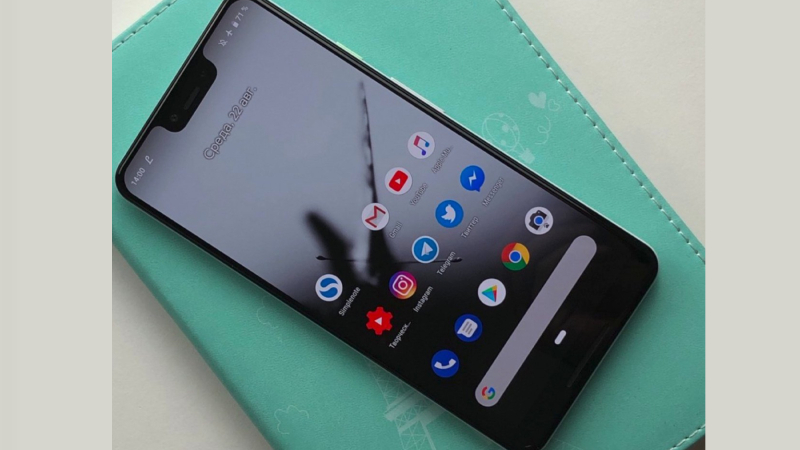 But if we give it a look from the Pixel 2 2018, then the latest smartphone has many upgrades but lacks the designs.